Important information and updates about the website. Questions or comments about this website? Post them here. DO NOT post hackintosh questions here! General hackintosh discussion. For specific questions you need to use the other forums. Looking for a how-to for your system? Check here for member-submitted guides. You are installing OS X and have some issues. You already installed OS X but have some issues. You need help with the installation of OS X on a laptop or notebook? Ask your questions here. Got DSDT specific questions? Find information about DSDT here or ask experts for help. Do you have a specific piece of Hardware and is seeking for some help? This is the place! 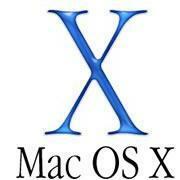 At our FAQ session you can find solutions and tips for some OS X's features. International forums, discuss hackintosh in your own language! Do you need expert help with your Hackintosh project and you are willing to pay for the support? Open a topic here and get premium support! Join the monthly OSx86.net contest! Check what contest we have this month! Winter is coming! A good time to start with your new project. Keep us updated on your progress here. Show your *completely working* hackintosh set-up here! So you have built your shiny new Hackintosh. Lets put it to work. Want to share your prefered Hobby with our community? Want to talk about it? This is the place! Do you have something interesting at your Attic? Something old standing with your family for a long time? Show us!